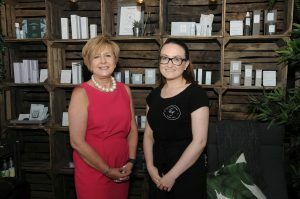 An award-winning massage therapist has plucked up the courage to launch her dream spa, after securing a lifeline Start-Up loan from alternative funding provider Finance For Enterprise. Lindsey Jones (29) from Ravenfield, Rotherham, secured the loan to give her former mobile massage business a permanent hope, enabling her to grow the business, develop new, innovative treatments and share skills and expertise with budding therapists from across South Yorkshire. After leaving university and carving out a successful career for herself in the retail industry, Lindsey decided to turn her back on her regional management role. Opting to explore her passion for spa therapy, she secured a role with a leading skincare specialist where she could expand her existing beauty knowledge. Equipped with a wealth of spa and wellness knowledge at her fingertips, Lindsey started offering treatments in her spare time, working from home and steadily developing a loyal client base who were eager to become the recipient of Lindsey’s growing range of bespoke treatments. 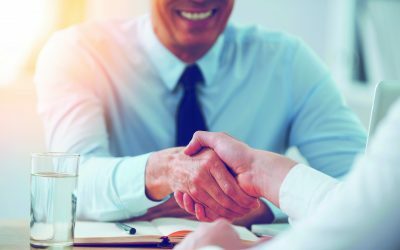 The new entrepreneur quickly developed a reputation for her exceptional customer care and service – but before long, the pressures of self-employment became evident. Finding that her whole home was beginning to look like a salon and unable to shut herself off from work matters at the end of the day, Lindsey realised that she was struggling to achieve a positive work-life balance. 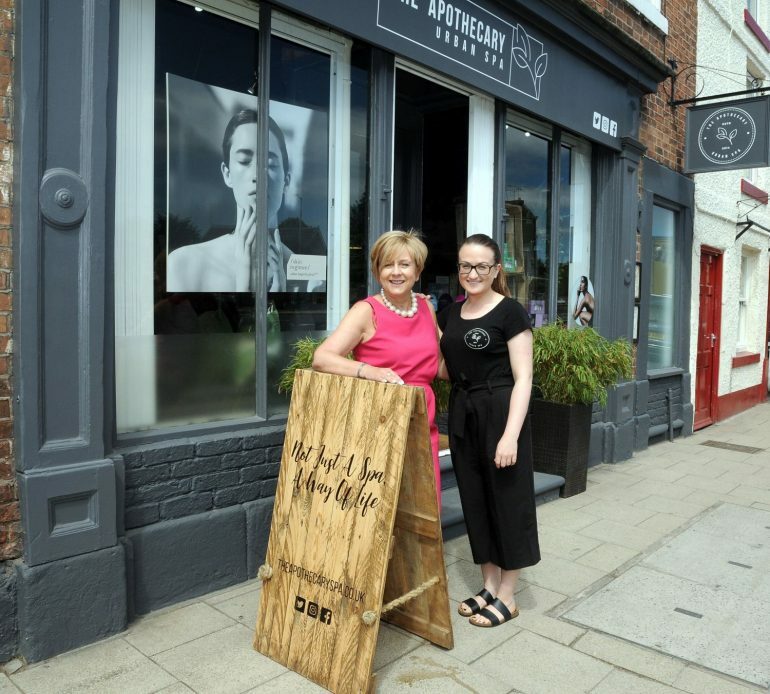 Keen to develop her business ideas further, Lindsey knew that the time was right for her to start looking for premises, enabling her to develop and grow her brand new business, The Apothecary Urban Spa. Quicker than anticipated, Lindsey found her perfect premises in the form of a Grade II listed property in the heart of Tickhill’s historic high street – yet appearances can sometimes be deceptive. Despite loving the look of the property from the outside, she realised that the inside needed its own major makeover. Never someone to turn down a challenge and equipped with a solid business plan, Lindsey recognised that her business needed a vital cash injection. She decided to apply for a high street business bank loan, which her business desperately needed – but like many new entrepreneurs she swiftly received a letter of rejection, leaving her future growth plans uncertain. With her confidence knocked and beginning to question whether she could continue with the business, Lindsey recalled a conversation with a client about Doncaster-based alternative lending provider Finance For Enterprise, which helps SME businesses to access funds required to launch, grow and expand. Without hesitation, Lindsey contacted Finance For Enterprise and after consulting an Investment Manager, she realised that a start-up loan could provide her business with the funds it so desperately needed. Within just a few weeks her Start Up Loan application had been granted, enabling Lindsey to purchase the lease on the property, order equipment and obtain additional stock. Sooner than anticipated, Lindsey found herself up against another barrier. Realising the renovations were more substantial than she originally anticipated, Lindsey turned to Finance for Enterprise for further support and was able to secure a top-up on her loan. The additional funding allowed her to successfully overhaul the new premises and complete a re-brand of the business within just two weeks. Since launching The Apothecary Urban Spa just two years ago, Lindsey has successfully created three new roles within the business, recruiting one full time Therapist and two Apprentice Therapists who are both under 19 years old, whilst developing over 20 bespoke treatments including full body massages, facials and manicures and pedicures. Her hard work was rewarded last year when Lindsey was awarded the title of Start-Up Business of the Year at Doncaster Chamber Awards. Following this success, she is setting her sights on developing the business and expanding the property, with plans to open a beauty training school to help aspiring therapists learn the tricks of the trade. Lindsey Jones, Founder, The Apothecary Salon, said: “When I left my career in retail I wanted to achieve better job satisfaction, whilst also pursuing my interests in the spa and wellness industry. The power of spa and beauty therapies and how they can help people to relax and unwind is something that has always interested me and I was keen to explore this further with my business. “As the business began to grow, I felt that I was trapped: reminders of my work would be the first thing I would see in the morning and the last thing I would see at night. I no longer enjoyed being self-employed and knew that something had to change. Gillian Pickard, Investment Manager, Finance For Enterprise, said: “For many new businesses, accessing finance can be a major barrier; one which can inhibit growth and even force the business to close. As an Investment Manager my role is to encourage entrepreneurs to overcome the obstacles they face, helping them to access the right support at the right time.